In November we hosted a paintball zombie shoot. Thanks to good friends we had camo clothing for all participants, 35 paintball guns and 4,000 rounds worth of zombie painting ammo. It took 3 Jeeps with trailers 45 minutes to get around the course we had set up. Judging from the smiles on the kid’s faces, it went spectacularly well. Above is photo I shot to use for the invites we printed up. 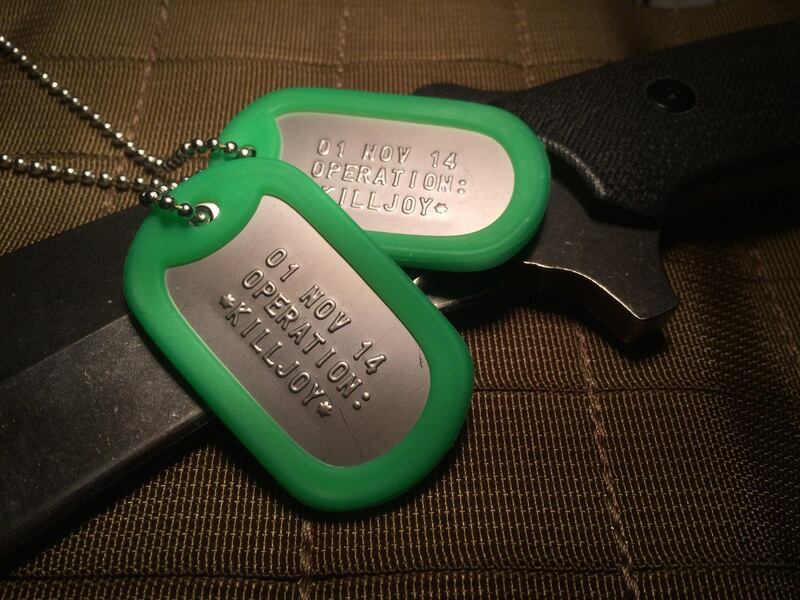 And yes, each kid got a dog tag.